Please click on the links to download both Ombudsman reports regarding Averil's death, either the Insight Report, entitled "Ignoring the alarms: How NHS eating disorder services are failing patients", or the full 167-page investigation report. 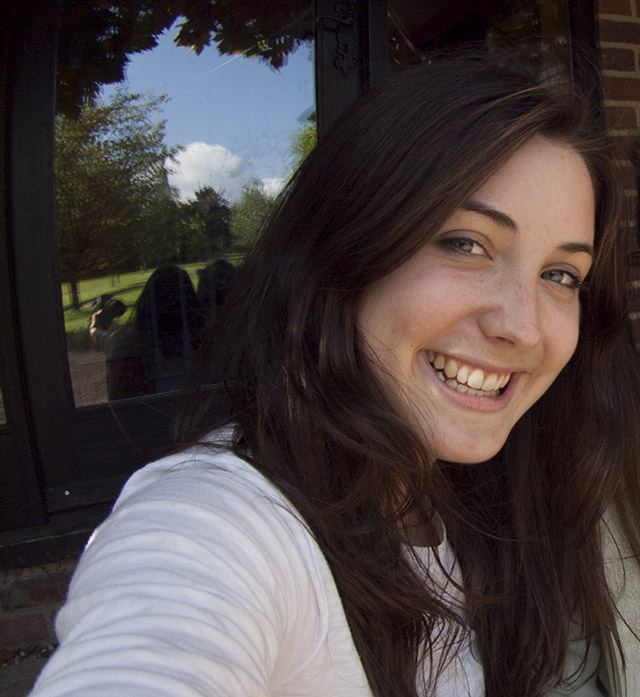 Averil Hart, our wonderful daughter, sister and friend, died at the tender age of nineteen from Anorexia Nervosa (AN). She died just ten weeks after starting at the University of East Anglia in December 2012. We believe that her death was the result of a lack of care in services delivered by the two NHS organisations charged with her care. These organisations, the Norfolk Community Eating Disorder service (NCEDS) & the University of East Anglia Medical Centre (UEAMC) were not fit for purpose and failed to deliver even basic care to Averil. We are seeking an independent investigation into Averil’s death, and into the failings of these organisations and those that commissioned them. However, the NHS complaints system, through which we are working, is characterised by denial and non-disclosure. Please follow this website for updates as we try to get to the truth behind Averil’s death, in the hope that others will not have to suffer as she did. Nic Hart discusses new measures announced by Cambridgeshire and Peterborough NHS Foundation Trust following the Ombudsman's report into Averil's death, and the fact that others may have died in similar circumstances. Averil was a wonderful daughter and sister; she was born at home with her family around her. She was the cheeky, lovable, fun girl at the front of family and school photos, always with a smile and a song. Averil was academically brilliant, she loved writing, literature and the world around her. She also had a black belt in karate and was extremely sociable and outgoing. She loved life and she loved her family and friends. In the run up to and during her A-levels, Averil succumbed to an eating disorder, Anorexia Nervosa (AN), which spiralled out of control after she had completed her studies. A late diagnosis by her GP resulted in her being in a very poor state of health before she was admitted for treatment to Addenbrooke’s Hospital in Cambridge. Averil stayed in hospital for nearly ten months on the S3 ward. Here, with good treatment and therapy, Averil regained much of her weight loss and zest for life. She fought to regain her independence and made many good friends amongst the patients and staff. Each day, she placed a positive message or quote on the meeting room board to inspire others to fight for recovery alongside her. Gaining a place at UEA to study creative writing, she left S3 to begin the next stage of her life. At University, Averil’s overall care was to be provided by the primary care team at University of East Anglia Medical Service (UEAMS) and secondary care through the Norfolk Community Eating Disorder Service (NCEDS) team. Together these NHS providers were assigned to look after Averil’s basic health care: measuring and checking her weight, blood pressure and physical strength on a weekly basis, and monitoring blood characteristics at regular intervals. In addition, NCEDS would hold weekly sessions with a psychologist to ensure Averil’s mental well-being. A care coordinator was appointed to monitor her clinical and psychological health. In the event, Averil had to wait three weeks before these organisations started to take an interest in her care, but by this time her health had started to deteriorate again. In the period of transition between services, it is well known that the risks to anorexia patients are particularly high. Averil was designated a “high risk” patient, with specific instructions given to the team looking after her. Despite this assessment, the NCEDS appointed a junior trainee psychologist to manage her care. Without practical experience of her illness, Averil’s care co-ordinator was not equipped to prevent her “high risk of relapse”. This inadequacy is visible in the treatment that Averil subsequently received. Averil visited her primary care team at the university’s medical service who had been instructed to weigh her weekly, take regular blood samples and check her physical condition. In her ten weeks at UEA, Averil was weighed only three times, and blood or physical tests were not carried out. The Medical Centre and NCEDS did not communicate to ensure that Averil’s care plan was being implemented. Moreover, the Commissioning Body did not check whether Cambridge and Peterborough Foundation NHS Trust were adequately providing the service: they took £1m a year, without providing adequate staffing. During the last five weeks, Averil lost more weight and her health further deteriorated, a development that went unchecked by either NHS organisation, although she was seen regularly by her psychologist. After a family visit, Averil’s father raised the alarm, and was given assurances that the NCEDS would check her condition. No action was taken. Averil struggled to stay at university, but her flatmates and even the cleaner in her flat became concerned. She would sit each morning in the communal kitchen trying to eat in order to regain her strength, because she knew that failure would mean a return to hospital and leaving the university and studies that she loved. Her cleaner, who recognised her condition, made an emergency call, but in the absence of an adequate response, Averil was found unconscious in her flat two days later, and was rushed to Norfolk and Norwich University Hospital. There, the team lacked sufficient knowledge to treat her condition. They were unfamiliar with guidelines and both allowed her to fall, and required her to feed herself from a trolley left on the ward. NCEDS attended only three days later, after her transfer to Addenbrooke’s, and then failed to use the Mental Health Act to give Averil the treatment she desperately needed. We have filed official complaints with NHS England against the UEA Medical Centre, the Cambridgeshire and Peterborough NHS Foundation Trust relating to Averil’s transitional care, and Norfolk and Norwich University Hospitals. We have also been preparing complaints against other organisations, but the information to do so has been difficult to extract. An inquiry was undertaken by the Cambridge and Peterborough NHS Trust, but this has failed to bring together the full facts of the tragedy. Delays, refusals to answer questions, and a convoluted system have prevented the full facts from emerging, and have made the prospect of real, substantive change more distant. We also discovered that one of the NCEDS team - which had previously been criticised - made additional notes on Averil’s medical file two weeks after her death. Practices like these are highly questionable.